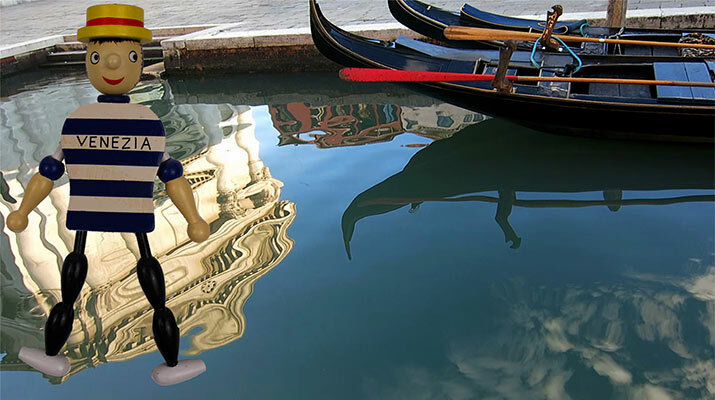 Tips for Venice with kids – taking waterbuses, arrival from the airport and train station, explore the city but avoid getting lost, disadvantages of strollers, family hotels, self-service laundromat. The lion of St. Mark is everywhere, but visiting Venice with kids, look for dragons too. 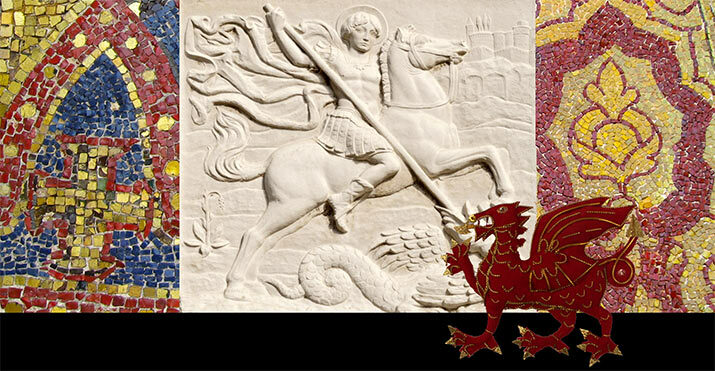 Scenes of Saint Theodore, Saint George, Archangel Michael, and Santa Margherita defeating dragons are portrayed in mosaics, paintings, reliefs and sculpture throughout the city. 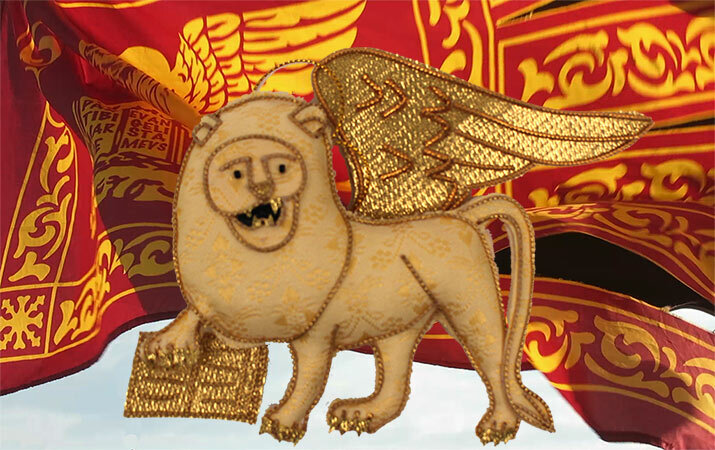 The winged lion of Saint Mark is the symbol of Venice. Discovering Venice with kids, lions are everywhere you look. Find out why the lion holds a book, the Venetian flag in battle, and where to see our favorite lions. St. Mark’s Basilica is a “must see” in Venice, and here’s a few tips to have fun visiting the church, how to avoid long lines, find the only restroom inside, and discover golden treasures.